Gardening with hydrogen peroxide may sound odd, but it’s actually a well-known pesticide treatment for organics farmers that can also be used safely for your garden. With the controversy surrounding toxic pesticides and small children, you want to ensure you choose a safe, but natural method for killing those extra pests in your garden who may wish to eat your fruits, vegetables, and flowers, before you have a chance to enjoy them too. Using hydrogen peroxide is not only inexpensive, but easy to use to treat plants before your garden is overrun with tiny insects or root rot. Why Is Hydrogen Peroxide the Best Treatment for Plants? There are many benefits of using hydrogen peroxide rather than an expensive pesticide from your home and garden shop. 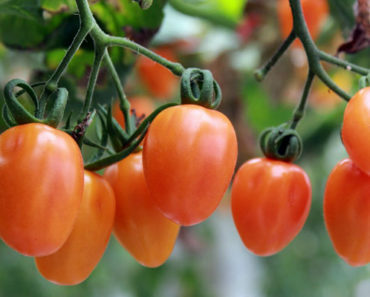 It’s a replacement for pesticide that is used to kill bugs that want to eat up your garden. It’s recognized by the USA EPA, so you know that you’re using a tested gardening method. Pests can get into your garden before you even see them. While many gardeners practice the physical removal of bugs to keep their plants safe, often they can move in before you even see them. Hydrogen peroxide is sprayed or poured onto your plants as a diluted solution. It will kill pests from the root up, and throughout the soil. It actually only takes a small amount. While HP is safe for use around humans, pets, and small children, it can burn through the thin tissues of bugs. 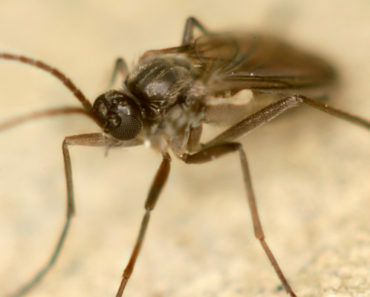 These may include fungus gnat larvae, cutworms, and other parasitic nematodes. 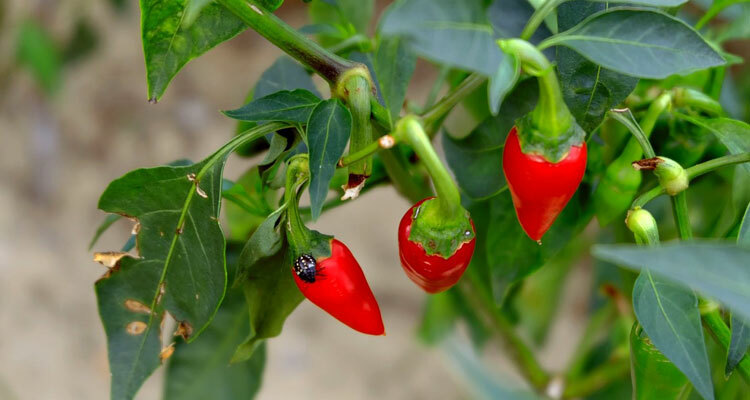 It can also control populations of aphids and spider mites which also love devouring your plants. How Exactly Does Hydrogen Peroxide Kill Pests? Hydrogen peroxide works better than simply pouring water on the soil or your plants. The hydrogen peroxide actually creates a chemical reaction as it breaks down. If you’ve ever rubbed some on a cut, you’ll have noticed how it foams and bubbles. 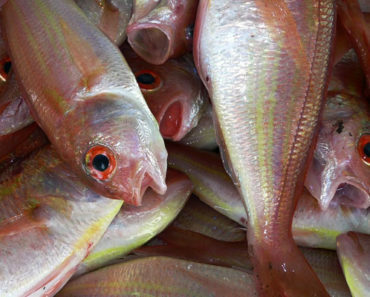 Humans have been using it for many years as a natural skin antiseptic. It helps to increase the natural healing of cuts, and prevents skin infections from setting in—often caused by fungus, bacteria, or viruses. When hydrogen peroxide is poured onto soil, it will naturally form water and oxygen. This reaction is called oxidization and is harmful to bugs, as well as viruses, fungi, and bacteria that may be lingering on human skin. It works well as a preventative as it’s harder to kill larger pests in the garden. 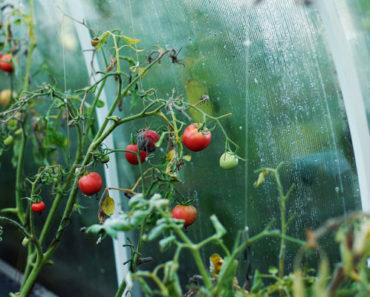 But the sooner you can get the process going, you’ll begin to realize that your garden will have fewer pests, and your plants, fruit, flowers, and vegetables will all grow more fuller leaves, and with full crops. Hydrogen peroxide works the same way as store-bought pesticides, but is a much safer way to do so. 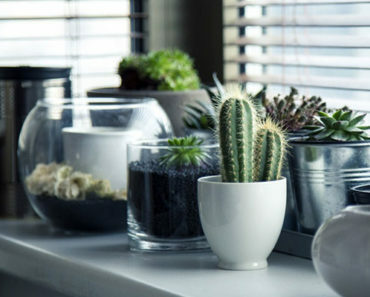 There are some other benefits to using hydrogen peroxide for plants. It can be an effective way to allow for soil aeration and to lessen the effects of root rot. Sometimes root rot can quickly take hold. The hydrogen peroxide will boost levels of oxygen in the soil, which is needed to combat the root rot. It will also kill anything in the soil that may be causing the root rot to take hold. Hydrogen peroxide is also an effective way to provide water treatment to your plants. Many cities and towns don’t have great water. It can be full of chlorine, bacteria, and metals. Mixing hydrogen peroxide in your water can improve your water before watering your plants, and is a great method to remove these harmful compounds from water used to water plants. It does this through its powerful oxidation process. Before you go crazy and dump bottles of hydrogen peroxide on your garden you must know that there is a proper technique to do so. This method has been tested by many gardeners over the years. It provides the most effective treatment, for the minimum of cost. In other words, if you over-treat your garden, the hydrogen peroxide could kill your plants, instead of killing the pests. Fortunately, there is a recipe and steps that are necessary to treat your garden. This technique is quite simple and easy, and only takes a few basic ingredients, and simple directions. There are two slightly different techniques used to treat either soil or onto plants directly. Since leaves are more delicate, you’ll want to label two different watering cans with different solutions. But don’t worry, you only need to do this when you see an infestation, or at least once in the spring. To begin, shop for all items on the shopping list, then follow the directions. There are only a few items to add to your shopping list, and these are cheap and affordable. You won’t need any complicated or hard to find items here. One watering can—You can use the same one for soil, and one for leaves, unless you wish to purchase two. Just mix up your solutions one at a time. One bottle of hydrogen peroxide, 35%, additive-free. Can be purchased from most pharmacies. Distilled water in large one gallon or more bottle. Can be purchased from most pharmacies. Marker or paper and tape to differentiate two mixtures. A spoon you use only for gardening. A spray bottle for misting. You’ll want to mix up one part of hydrogen peroxide to ten parts of water. Measure out about one cup per four square feet. Pour into your watering can. Add ten times the amount of water into the watering can. Mix thoroughly with the spoon. Water the base of the plants and the soil thoroughly. Avoid the plant itself, that’s what the next set of directions are for. The instructions are nearly the same for making your hydrogen peroxide pesticide for your plants and leaves. Instead of using tap water, you’ll be using distilled water. This provides a gentler solution to delicate leaves. You’ll want to mix up one part of hydrogen peroxide to ten parts of distilled water. Add ten times the amount of distilled water into the watering can. 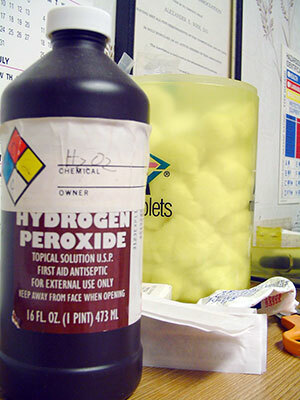 Place hydrogen peroxide bottle into recycling bin if it’s now empty. Water the tops of the plants. Pour some of the solution into a spray bottle, and use it for those more difficult to reach spots on the plants. Move the leaves and spray under and on top of the leaves. Don’t forget to spray stems, branches, and stalks, as pests love to eat all parts of a plant. Avoid the soil, as you’ve already tackled it with your first treatment. Hydrogen peroxide has many other uses in your home besides in your first aid kit, and as an effective gardening pesticide. You’ll want to have a bottle or two on hand for other usages. Hydrogen peroxide can be used to remove wine stains from white carpet. Its oxidation process will give more cleaning power, and you won’t need to scrub as hard. Clean the surfaces of kitchen and bathroom. Do taps, sinks, counters, knobs, and handles. Soak your toothbrush in a small amount of HP and water. Particularly important if you have cold or flu. Soak your contact lens case in HP to disinfect it too. Soak your cloth and sponges in hydrogen peroxide to disinfect them as well. You can also use it on your indoor plants. Just ensure you use distilled water and the same one part of HP to ten parts of water. Once you realize the benefits of using hydrogen peroxide inside and outside your home, you’ll quickly find many more uses for it. And this is all from one small $2 bottle of hydrogen peroxide! You can buy larger bottles though, and obviously if you’re treating an entire garden you may wish to stock up on a case of it. It’s a safe and affordable way of keeping your family healthy, and your garden looking great. Once you adapt your gardener’s tool kit to the use of hydrogen peroxide, you’ll soon experience the benefits of doing so. You’ll want to ensure you do your treatments no more than once or twice a year. Ideally, you’ll want to do your treatments at the point when you can see a bug infestation, or root rot set in. Inspect your garden at least once a week, as often fast attention to a bad infestation may be what saves or loses your garden. Keep up with using your hydrogen peroxide recipe for gardening success, and you should soon realize the fruits of your labours with beautiful flowers, and delicious vegetables, tomato plants, and berries. Coffee Grounds for Plants – Everything You Need To Know? 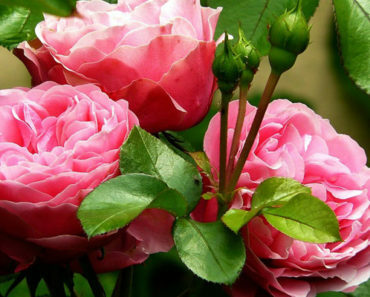 Epsom Salt for Roses – Benefits and How to Use It? Epsom Salt for Tomatoes – How Effective Is It?